Greenlee Textron Inc. Greenlee Textron Inc. (3) Manufacturer Greenlee+Textron+Inc. Ideal Industries Inc. Ideal Industries Inc. (2) Manufacturer Ideal+Industries+Inc. Klein Tools Inc. Klein Tools Inc. (2) Manufacturer Klein+Tools+Inc. 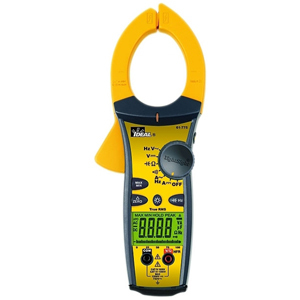 Looking for a tool to measure electrical current? You’ve come to the right place. Take a look at our stock of clamp meters, and find the tools you need to get the job done. Our meters combine the best parts of a digital meter and a current sensor to provide you a more dynamic measuring experience. Start shopping now.